Our student Leyla got offers from King's College, University of Leeds, Cardiff University and University of Bristol, which she then chose to attend. Leyla from Moscow, a first year International Relations student at MGIMO, contacted us asking for support in applying to a prestigious university in England. Leyla was not satisfied with the approach to teaching at MGIMO and wanted to go to university in the UK, where she would be able to realize her full analytical potential and fulfill her interests in the field of theology. Leyla was interested in programmes that focused on the role of religion in modern society and King’s College London was her first choice. Transferring from the first year of a Russian university to a top UK university is not a typical route to university in the UK. Most universities do not accept such candidates, as it is hard to compare the level of university education in the UK and the CIS countries. In addition to a good university reputation, high grades for the first year, outstanding letters of recommendation from the student’s university, transferring universities requires a compelling and well-written personal statement and a high level of English. UK Study Centre experts took on this task, gave Leyla several other course options in addition to King’s College, made contact with unviersities to negotiate this transfer, supported Leyla with all of the admissions paperwork and with her UCAS application. In the end, Leyla received offers from four of the five universities she applied to, including her top choice, King’s College London, as well as Bristol, Cardiff and Leeds. 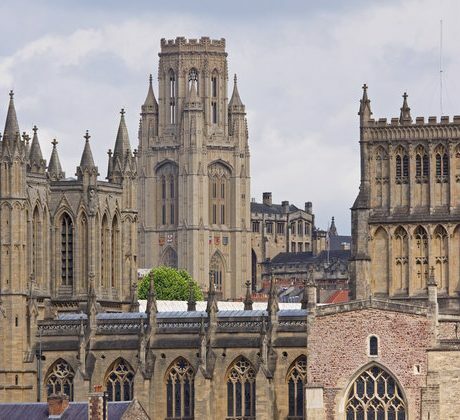 Despite having chosen King’s College London as her top choice in the beginning, Leyla settled on Bristol after visiting both universities and deciding that the small town and campus atmosphere at Bristol will be better for her. Furthermore, the strong academic approach and reputation of the University of Bristol in her chosen field helped Leyla make her final decision. We congratulate Leyla and hope that her education in Bristol will open new doors for her.